The Wine & Gold close out their road trip with a visit to the league-leading Toronto Raptors on Friday night in the Great White North. Tipoff from Scotiabank Arena is at 7:00 p.m. (ET). 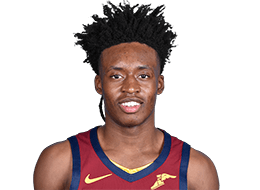 The Cavs head into Friday night's game with a split on their current three-game roadie, topping the Indiana Pacers on Tuesday before falling to the Charlotte Hornets the following night. From where to catch all the action to Friday's game notes, Cavs.com has you covered. Joe G.'s guide to a victory. Learn more about Friday's matchup. Against Charlotte, the Cavs played a tough game but the Hornets' second-half surge was too much to overcome, eventually topping Cleveland by 11. 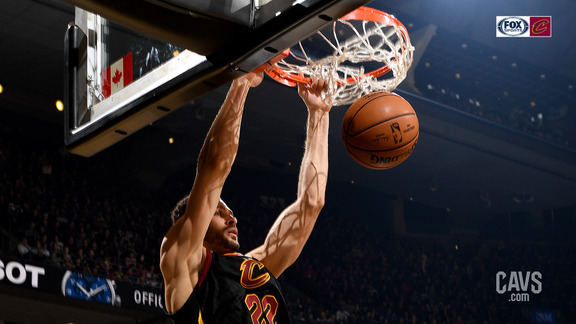 Despite the loss, Cleveland continued to play well as a team and tallied six double-digit scoring performances (Jordan Clarkson-20, Jaron Blossomgame-15, Cedi Osman-13, Rodney Hood-12, Collin Sexton-11, Larry Nance Jr.-10). They have now reached that mark 14 times this season. The Cavs also dished out 24 assists on 41 made field goals while only turning the ball over 10 times against the Hornets. They shot 10-23 (.435) from beyond on the arc which was their 16th game this campaign connecting on double-digit triples. Cleveland continued to excel off the bench, receiving 50 points from their reserves which was their 11th outing this season with 50-plus points. Thus far, the Cavs’ bench is averaging 43.5 bench points (sixth-best in NBA). Speaking of reserves, Jordan Clarkson led the way in terms of scoring after missing Tuesday's matchup against Indy with a sore lower back. Against Charlotte, Clarkson tallied a team-high 20 points, including 4-10 (.400) from three-point range, three rebounds, two assists and a steal in 35 minutes off the bench. 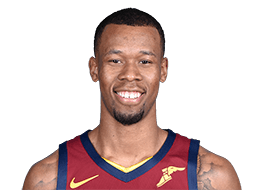 Jaron Blossomgame had his best game as a pro recording a career-high 15 points on 6-8 (.750) shooting, including 3-4 (.750) from deep, and two assists in 23 minutes off the bench against Charlotte. It was his second double-figure scoring game of the season. 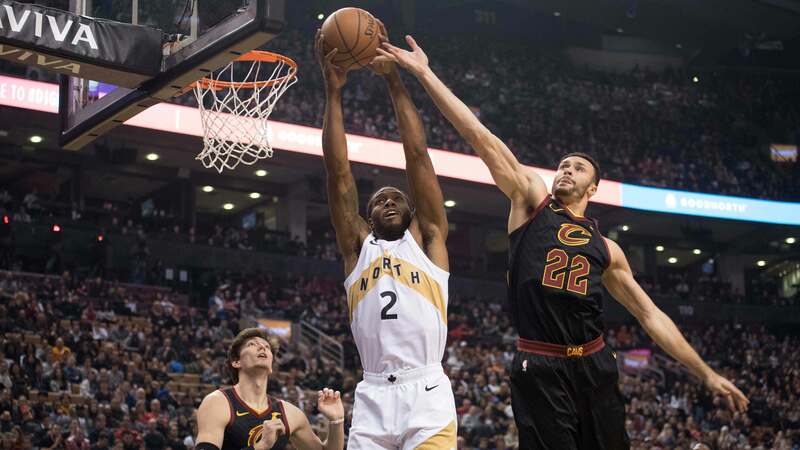 Cleveland will look for similar performances against Friday night's opponents - the Toronto Raptors - who have cooled off since their hot start to the season. 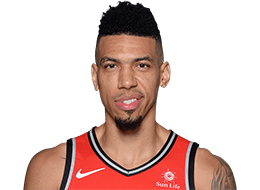 The Raptors are currently 24-9 on the season, good for best in the NBA. However, Toronto is 4-5 since running off eight straight victories last month. 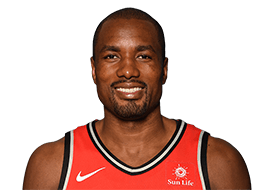 Despite hitting some doldrums, Toronto comes into Friday night's matchup on a high-note after a close victory over the Indiana Pacers (99-96) on Wednesday evening in The 6ix. 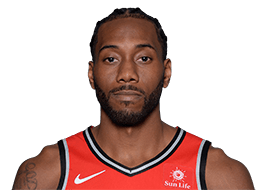 Former Finals-MVP Kawhi Leonard was the "it" factor in his team's win over Indy, tallying a double-double performance consisting of 28 points and 10 boards. 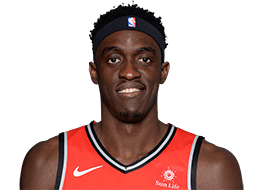 Pascal Siakim also had a good game, posting 17 points on 6-10 shooting while Greg Monroe (13 pts) and Fred VanVleet (11 pts) rounded out Toronto's double-digit scoring efforts. 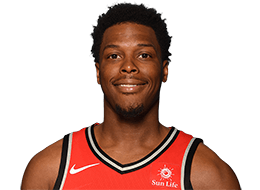 Friday's matchup between the Cavs and Raptors will be the third of four games played in 2018-19. They'll round out their season series on March 11 at Quicken Loans Arena. Tune in for Cavaliers LIVE on FSO for pre-and-postgame coverage starting 30 minutes prior to tipoff and immediately following the conclusion of the game. For live in-game updates, follow @cavs, @CavsJoeG, @CavsFredMcLeod, @MrCavalier34, @CavsJMike and @chones22 on Twitter. 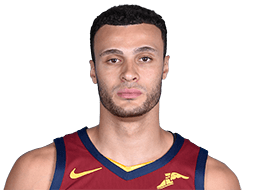 #22 - Larry Nance Jr.
As mentioned, Friday's game between Cleveland and Toronto is the third contest between the two teams. The Raptors took the first two contests earlier this season. 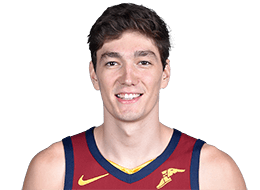 Despite those two losses, the Cavs have outrebounded the Raptors in both contests (46.5-42.5) while Cedi Osman is averaging 14.5 points, 8.0 rebounds and 3.5 assists in 31.4 minutes. Jordan Clarkson is pouring in 16.5 ppg and Tristan Thompson is averaging a double-double at 10.5 points and 16.0 rebounds in 33.5 minutes over the two outings. Cleveland also holds the edge in bench points this season. In the fact, the Cavs are averaging 43.5 ppg from their reserves compared to the Raptors who are averaging just 36.2. 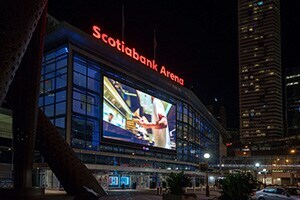 Following Friday's game in Toronto, the Wine & Gold head back to The Land for a quick home game against the Chicago Bulls on Sunday at 7:00 p.m. (ET) before getting back on the road for three more games. 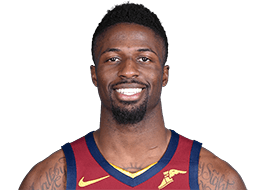 That roadie will begin down in Memphis as the Cavs battle the Grizzlies on December 26 followed by games against the Miami Heat (Friday, December 28) and the Atlanta Hawks (Saturday, December 29). The Cavs will then return to Cleveland for a four-game homestand, beginning with another game against the Heat on Wednesday, January 2 at 7:00 p.m. (ET). 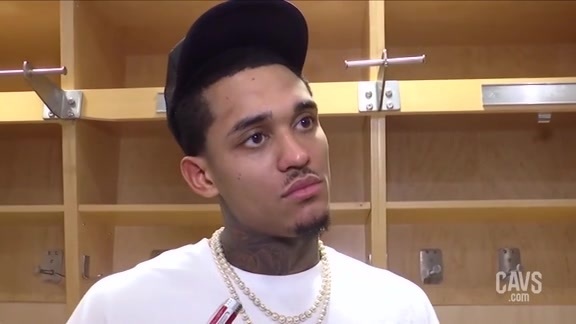 Cavaliers guard Jordan Clarkson spoke with the media following Friday’s loss to the Toronto Raptors at Scotiabank Arena. 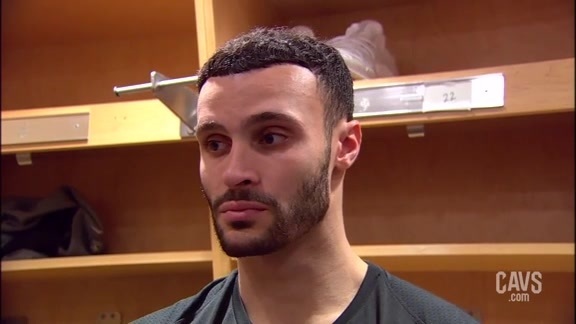 #CavsRaptors Postgame: Larry Nance Jr.
Cavaliers forward Larry Nance Jr. spoke with the media following Friday’s loss to the Toronto Raptors at Scotiabank Arena. 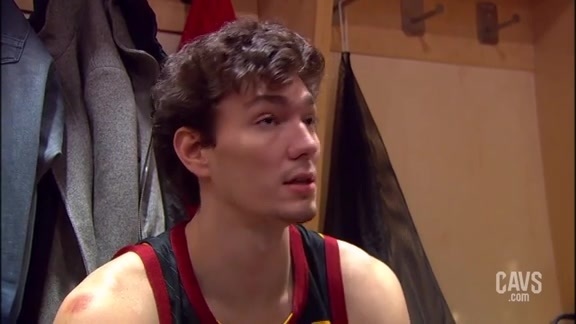 Cavaliers guard Cedi Osman spoke with the media following Friday’s loss to the Toronto Raptors at Scotiabank Arena. 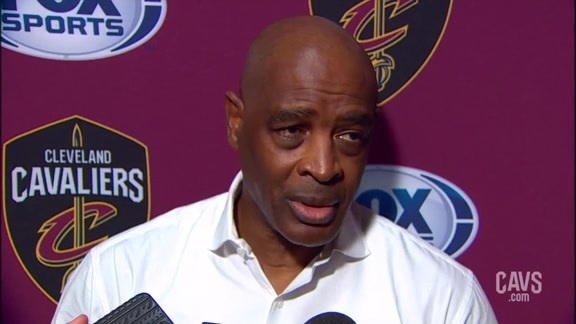 Cavaliers Head Coach Larry Drew spoke with the media following Friday’s loss to the Toronto Raptors at Scotiabank Arena. 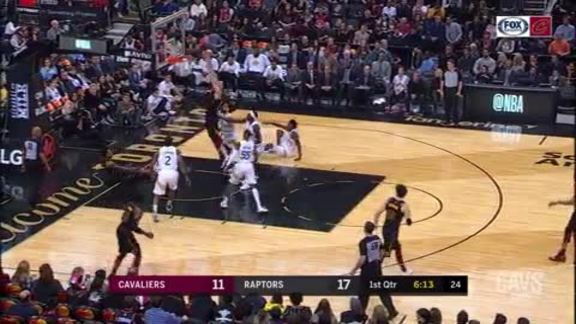 Jordan Clarkson tallies a team-high 20 points in the Cavs loss to the Raptors on Friday night in Toronto. Alec Burks nails the deep ball and is fouled in the process during the fourth quarter. 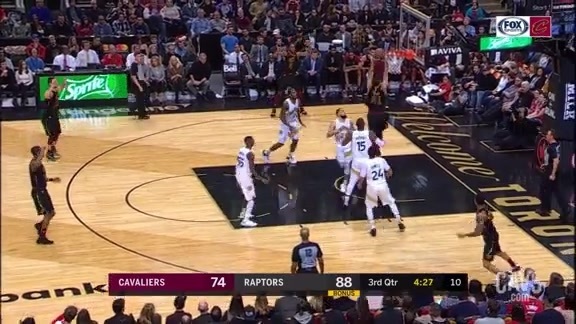 Ante Zizic throws the hammer down in the third quarter. 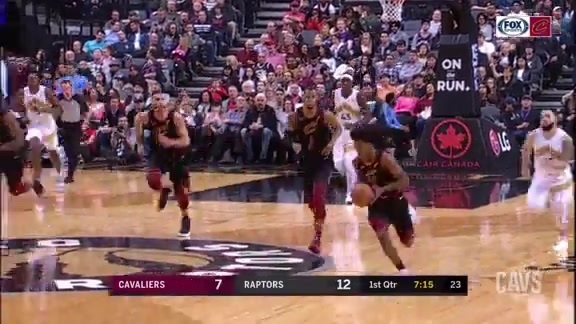 Cedi Osman takes it himself as he sprints down court before burying the layup in the third. 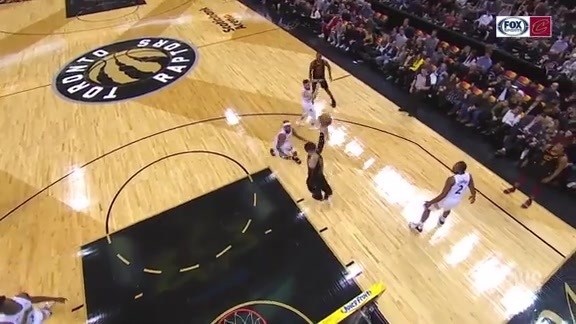 Alec Burks finds Larry Nance Jr. with a perfectly placed alley-oop in the second quarter against Toronto. 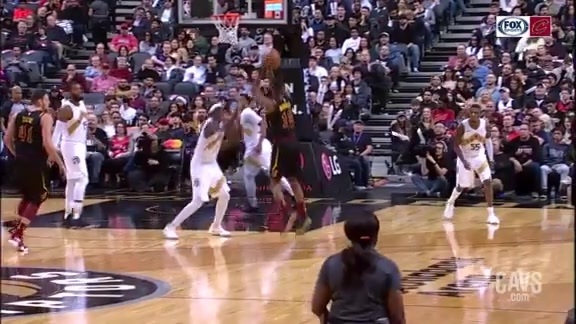 Alec Burks makes a nice rainbow assist to Cedi Osman midway through the second. Following Sexton's ankle-breaking drive, Larry Nance Jr. finishes the play off with a two-handed slam dunk. 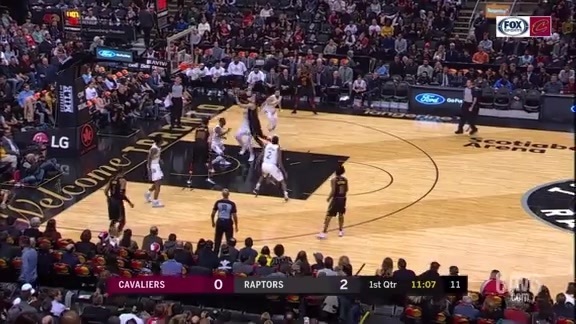 Cedi spins and scores as the Cavs grab their first two points of the game on Friday. 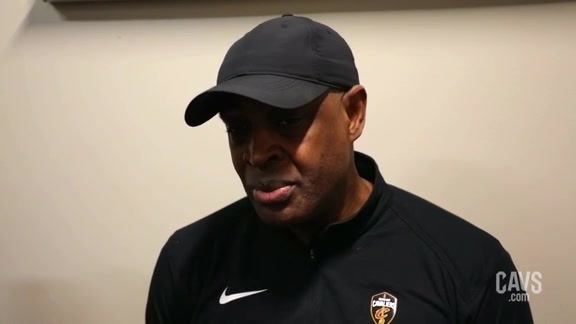 Cavaliers Head Coach Larry Drew spoke with the media prior to Friday's shootaround at Scotiabank Arena as the Wine & Gold prep for the Toronto Raptors. 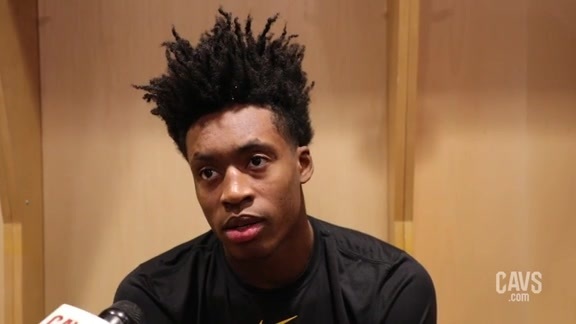 Cavaliers guard Collin Sexton spoke with the media prior to Friday's shootaround at Scotiabank Arena as the Wine & Gold prep for the Toronto Raptors. 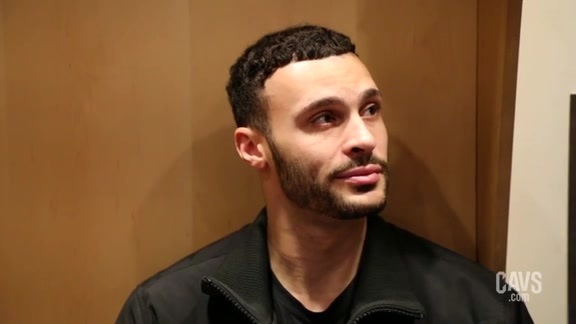 #CavsRaptors Shootaround: Larry Nance Jr.
Cavaliers forward/center Larry Nance Jr. spoke with the media prior to Friday's shootaround at Scotiabank Arena as the Wine & Gold prep for the Toronto Raptors. Celebrate National High Five Day with the Cavaliers!